Provide all children with cancer the best chance of recovery by funding research. That all children with cancer can heal and live healthy. When I grow up, I will be cured! 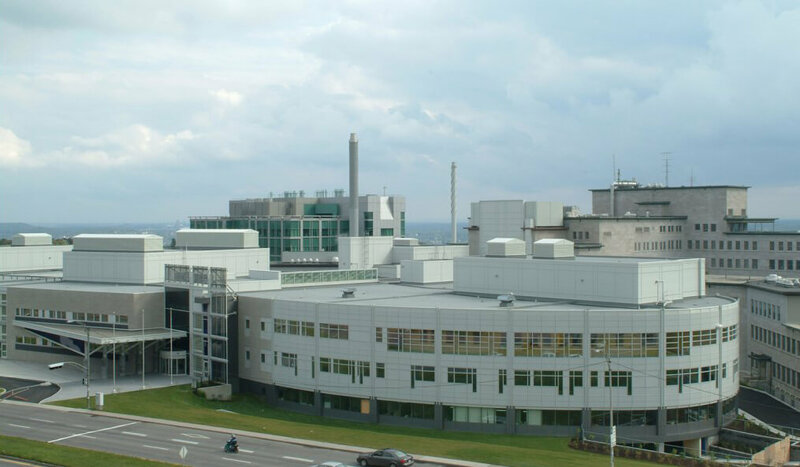 Since its creation in 1990, the Fondation Charles-Bruneau has invested close to $40 million in the construction and development of various infrastructures used in pediatric oncology. 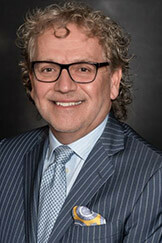 The Fondation has also invested more than $15 million in fundamental research in pediatric oncology and in the development of adjuvant therapies. Proud to have set up specialized facilities that are better adapted to the needs of families, the Fondation now intends to maximize its investments in the development of research. When I grow up, I will be healed! That all children with cancer enjoy a full recovery and renewed health. 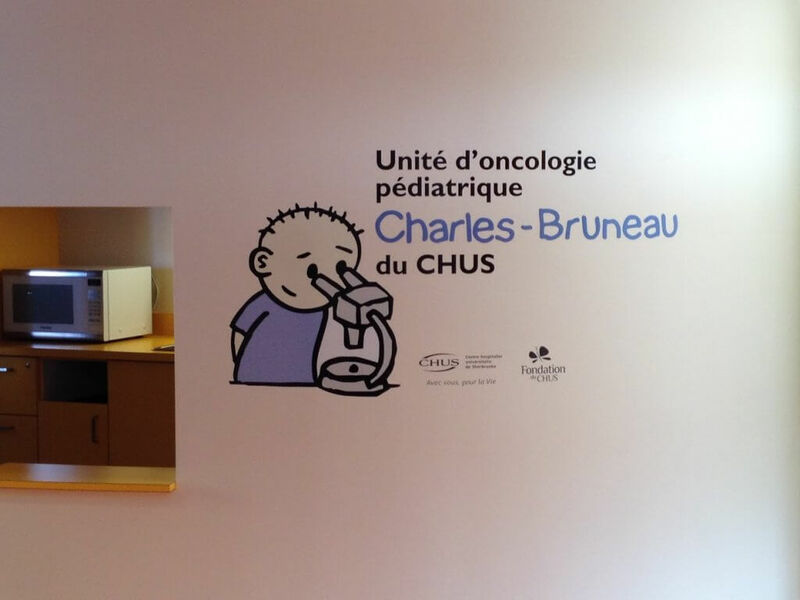 The new Charles-Bruneau Research Unit in Immunology-Hematology-Oncology of the CHU Sainte-Justine. 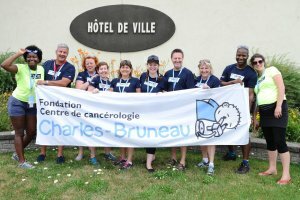 In 2017, the Fondation Centre de cancérologie Charles-Bruneau changed its corporate name to Fondation Charles-Bruneau. 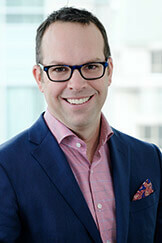 This change is intended to clearly reflect the Fondation’s presence and actions in the four Québec university teaching hospitals serving a pediatric hematology and oncology clientele. 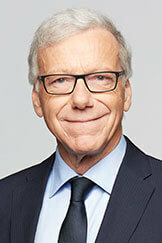 permanent team, volunteers and board members have allowed it to plan ahead to the future: this year, the Fondation made an historic commitment to remit $22 million to the CHU Sainte-Justine over five years to finance major projects at the new Unité de recherche en immunohémato-oncologie Charles-Bruneau. Eminent researchers will be guided by a twofold objective: curing the 20% of children whose cancer is resistant to treatment, and improving the quality of life of children in remission so that they can enjoy a true cure, free of sideeffects and complications. contribute to the creation of tomorrow’s medicine so that all children with cancer can fulfill their dream of being cured. Thank you believing in that mssion as much as we do. lessons in courage and hope-filled testimonials touch us deeply and offer further proof, every day, of the importance of sustaining our commitment. Spending time with them can only help us grow. The Fondation’s research and development efforts are meant to step up the pace of discovery and allow researchers and caregivers to innovate, cure and improve the well-being of children with cancer. Our hope is that you will remain alongside us throughout this ongoing battle, because the seeds of hope are sown by working together. 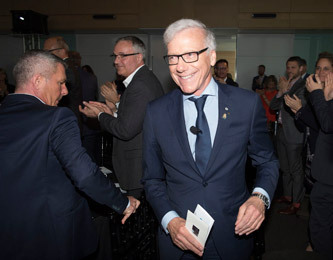 The Fondation Charles-Bruneau recently pledged to invest $22 million in research at the CHU Sainte-Justine, thus becoming the largest donor in the hospital’s history. This human genome sequencing program can be used on children and teens with cancer to determine the molecular characteristics of each tumour, specify its diagnosis, identify the anomalies involved, and treat them using targeted therapy. Arts Therapy Program, Cancer treatments are very difficult to take and aggressive for children. Arts therapy becomes an essential support element. This service offers access to a range of methodologies and bioinformatics tools for purposes of analyzing the genome and its activity. These new sequencing technologies are destined to revolutionize research and the clinical assessment of pediatric patients. These funds will go towards financing projects carried out at the new Charles-Bruneau Research Unit in Immunology-Hematology-Oncology. Our objective is clear: Cure the 20% of children whose cancer is resistant to treatment and offer children in remission a true cure, free of side-effects and complications. With this objective in mind, research must be centered on the patient. Higher recovery rates and improved quality of life constitute a complex challenge that cannot be met solely by integrating the work of all caregivers, i.e., nurses, physicians, psychologists, social workers and researchers. 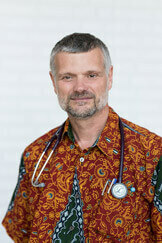 That’s the key to a successful integration, since they act as a bridge between the care and research cultures. 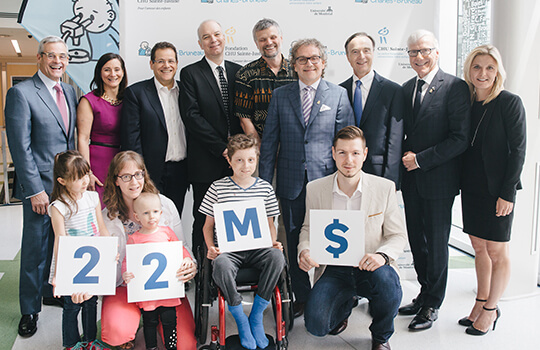 That’s why the Fondation continues to provide financial support to several major interdisciplinary projects in pediatric immunology, hematology and oncology. blood samples, including the physical characteristics of a cell. The Fondation defrayed the operating and upgrading costs for the new platform. 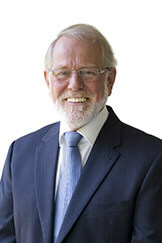 serving as a bridge between clinical and fundamental research. This biobank is expected to accelerate the pace of pediatric oncology research, specifically as it pertains to predictive medicine (e.g., effects of genetic factors on therapeutic responses), personalized medicine (e.g., targeted therapy) and preventive medecine (e.g., estimation of pathological risk in the population).  perfectly with the humanized mice platform, for example to validate the function of in vitro stem cells in mice prior to clinical trials with humans. platform has contributed to the discovery of new means to target certain cancers in a personalized manner, and innovative therapeutic approaches. 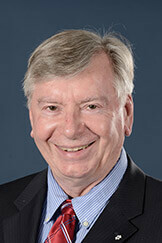 It will also lead to the development of a rationale for future clinical trials. The ELISpot technique makes it possible to detect and list various cells secreting a specific protein. This device is a precious tool for research teams seeking to analyze immune cell reponse to cancer cells. The Fondation financed the acquisition of the ELISpot, a crucial tool for cancer treatment follow-up. 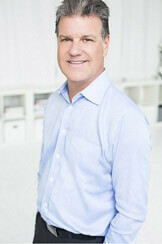 indispensable to the work of research teams specialized in immunotherapy. Researchers are able to study pediatric cancers, such as leukemia and neuroblastoma, using preclinical models that mimic clinical situations. identify the anomalies involved, and treat them using targeted therapy. 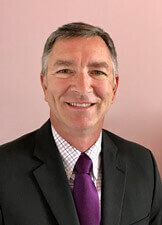 This precision medicine strategy paves the way for the discovery of biological markers of efficacy, genetic markers that, once detected, will point to the most effective treatment to prescribe and the probable progress of the disease, with the objective of improving the quality of life post-cure, with no side-effects or complications. training in pediatric hematology and oncology, and sometimes more specific training, including in pediatric bone marrow transplatation. Hemophagocytic lymphohistiocytosis (HL) is an inflammatory disease that can be fatal due to the deregulation and excessive activation of immune cells.Among children with HL, elevated levels of a protein produced by the immune system seem to exert a real impact on the pathogenesis of this disease. This study confirms the hypothesis to the effect that blocking this protein using JAK inhibitos (Jackinibs), among others, will control HL. Immune thrombocytopenic purpura (ITP) is an autoimmune disorder characterized by low blood platelet levels. It is frequently the cause of thrombocytopenia among children, which leads to a significant reduction in quality of life. This research proejct is aimed at indentifying new therapeutic targets for ITP. therapy, adapted to each patient to ensure greater efficacy and accuracy, to clinical trials aimed at preventing relapsed leukemia among children. targeted therapy among children for whom standard treatment does not work (refractory cancer) or children who present with a cancer relapse. Close to 70% of young patients treated for cancer must live with a chronic medical complication. Thanks to support from the Fondation, a dedicated full-time nurse is assigned to a program chiefly aimed at evaluating risk factors for long-term complications as well as methods used to carry out preventive screening for them. the benefits of healthy lifestyle habits, particularly proper nutrition and regular physical activity. anxieties of young people and provides ways to fight them with music and art therapy. 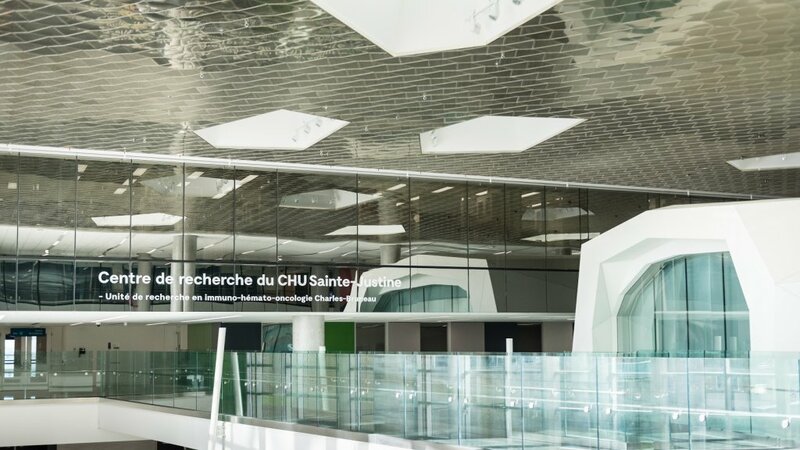 The Fondation Charles-Bruneau pledged to invest $22 million in research at the CHU Sainte-Justine, thus becoming the largest donor in the hospital’s history. hospitalization unit has 44 beds (including 12 transplant beds) and an outpatient clinic that receives more than 15,000 visits per year. 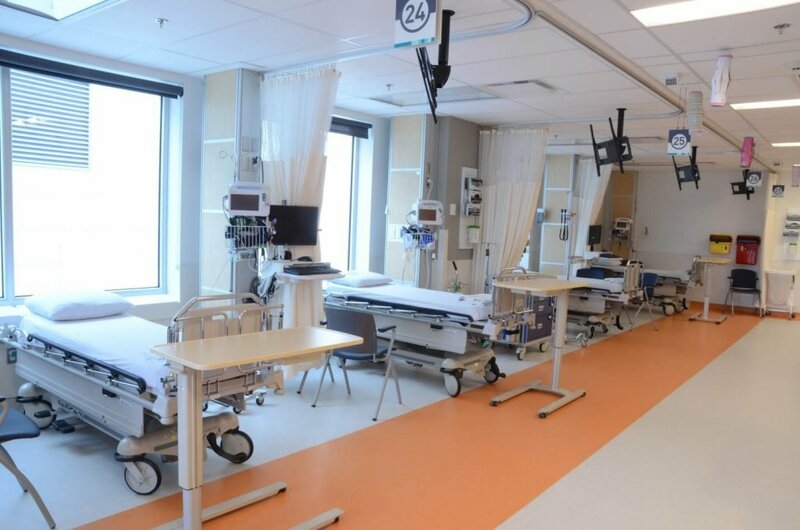 The MCH day centre receives between 100 and 125 patients per week, for an average of 6,000 visits per year, including 40% of pediatric patients from various regions of Québec. These funds will go towards financing projects carried out at the new Research Unit, where leading researchers are paving the way for tomorrow’s medicine. A medicine adapted to each child’s genetic code, one that leads to more effective personalized treatment, with fewer side-effects and long-term complications. immunotherapy. 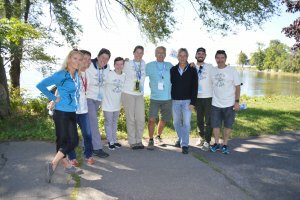 In the past few months, these approaches have begun to benefit patients followed at the CHU Sainte-Justine’s Centre de Cancérologie Charles-Bruneau, where more than 50 children took part in a clinical trial aimed at analyzing all their cancer genes (genomes) in order to determine which were modified by the cancer. Important information was obtained on the majority of these children, and a few have already reaped the benefits of personalized treatment aimed at blocking the action of genes modifed by cancer. The children in question responded to treatment, thereby confirming that personalized genome-targeted therapy truly holds promise. Other children, meanwhile, benefitted from immunotherapy, an approach whereby the immune system is used to fight cancer cells. 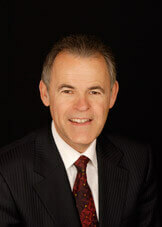 The Centre de cancérologie Charles-Bruneau was the first centre outside the United States to give patients with leukemia the opportunity to take part in an immunotherapy experiment involving CAR-T cell therapy. Here again, the preliminary findings show that this approach can be effective in controlling leukemia. 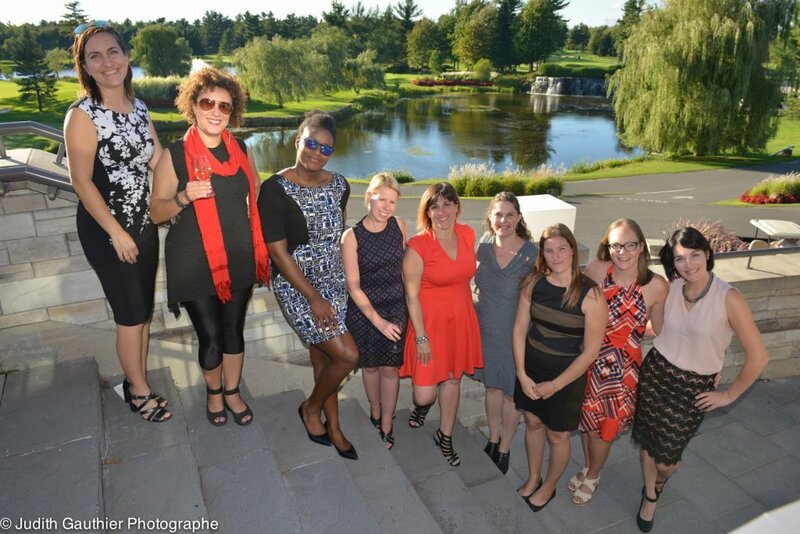 A hub where compassion meets innovation—thanks to the Fondation Charles-Bruneau. burden of their hospital visits through activities presented by “Child Life” special educators, to go along with schooling and psychosocial support services. Last year, close to 6,500 children and teens visited one of our many consultation and treatment clinics, including to monitor relapses and long-term effects on patients who’ve completed their therapy, and follow up on bone marrow transplants as well as brain and musculoskeletal cancers. period that holds great promise. Treatments are now being developed at a phenomenal pace, changing the lives of our patients and their families for the better. time with family—that’s the desired objective. While we can’t say that this objective has been met in full, we are definitely headed in the right direction, with our excellent health care and research, and with support from our invaluable partners, including the Fondation Charles-Bruneau. 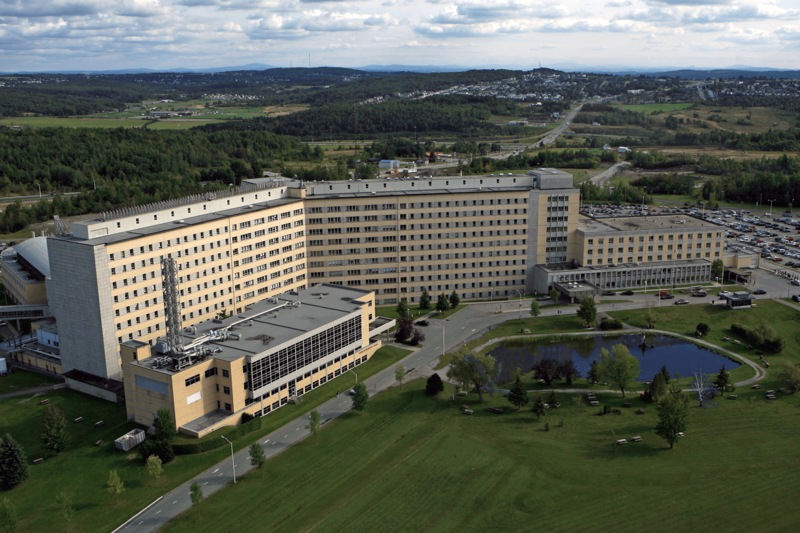 This large-scale project will make it possible to consolidate pediatric oncology care and services and purchase specialized equipment for the pediatric clientele in the Greater Québec City region and eastern Québec. 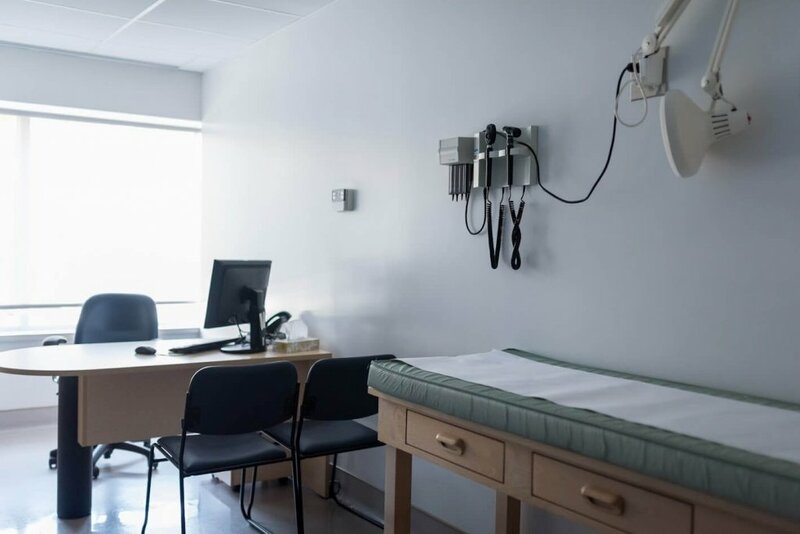 Redevelopment work will thus allow children and their families to benefit from more single-room beds, and it will quadruple the number of treatment spaces and provide two negative-pressure isolation rooms. 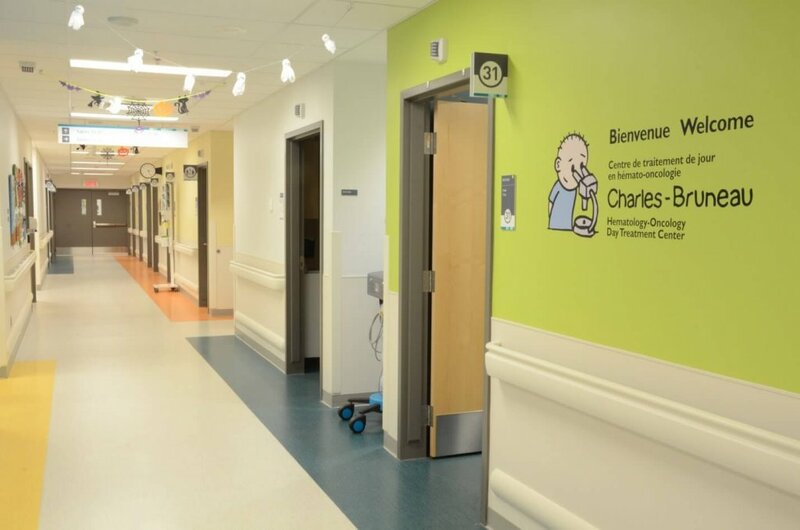 The Charles-Bruneau Pediatric Oncology Unit at the Mother and Child Center of the CHU de Québec is currently underway. Work is well underway for an inauguration in the summer of 2018! We are very excited about the realization of this beautiful project that is made possible thanks to the Charles-Bruneau Foundation. Families in Quebec and throughout the province will have access to state-of-the-art facilities that will give them access to the best available treatments in a care environment that promotes their quality of life. We are very happy with this upcoming inauguration. This opening is just the beginning of a lasting partnership between the department of pediatric hematology-oncology at the CHU de Québec and the Charles-Bruneau Foundation, for research locally, patient care and infrastructure. Each year, some 100 children from the Greater Sherbrooke region receive chemotherapy treatment, and 15 to 30 new cases are diagnosed. Some of these patients come from the region comprised of the Réseau universitaire intégré de santé (RUIS) and can now be treated on-site. 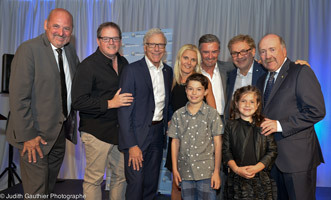 The Tour’s spokespersons joined the 500 cyclists to celebrate the resounding success of this major cycling event, which raised the impressive sum of $3,050,000. 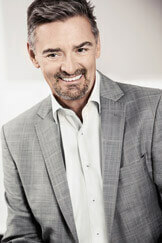 The proceeds will go towards financing projects in the area of pediatric oncology. Once again this year, the Fondation Charles-Bruneau received indispensable support from the CIBC Bank. 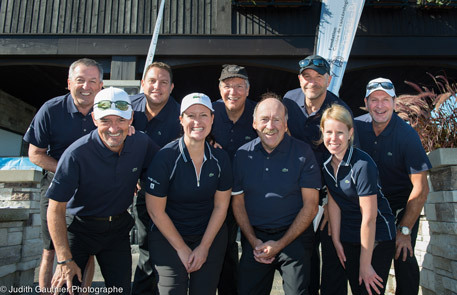 The Fondation Charles-Bruneau would like to thank all of its partner sponsors, volunteers, participants, families and other stakeholders who directly or indirectly played a role in making this 21st edition of the Tour CIBC Charles-Bruneau a tremendous success. The perseverance, generosity and commitment of the participants have only increased over the years. 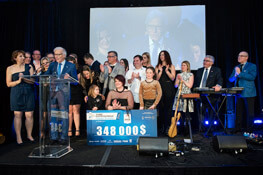 These men and women not only inspire our partners and thousands of donors, but they also generate hope for more than 2,000 young people throughout Québec. 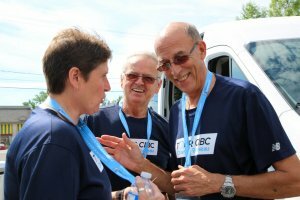 I’m very grateful, and extremely touched,” said an emotional Pierre Bruneau, spokesperson for the Fondation Centre de cancérologie Charles-Bruneau and cyclist in the 4-day leg of the Tour. 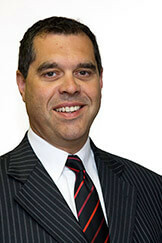 “Fundamental research has generated a fantastic amount of scientific data. The challenge, in the years to come, will be to translate these data into a true cure with no adverse effects. A great deal of work remains, but by pulling together, anything is possible! 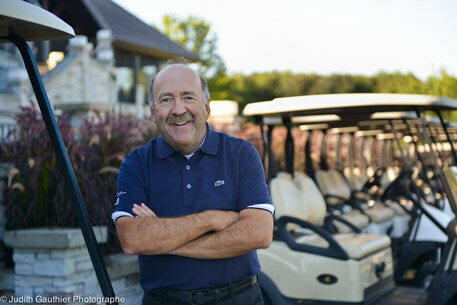 The 21st edition of the Omnium Prestige Charles-Bruneau, presented by GDI Integrated Facility Services in collaboration with Cominar, saw more than 260 golfers from the business community mobilize with the goal of giving children with cancer the best chances of recovery. Thanks to their generosity, the event raised the sum of $161,000. 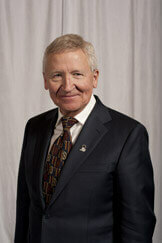 Serving as honourary president of the event was Mr. 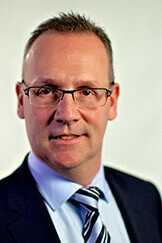 Guy Charron, Executive Vice-President, Retail Business Operations, at Cominar. 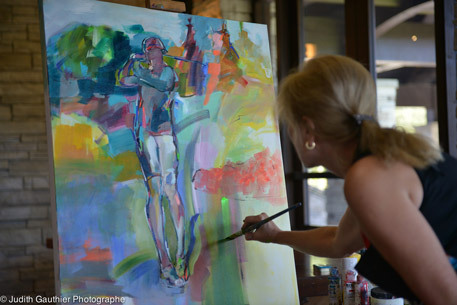 The canvas painted on-site by artist France Malo was among the numerous prizes for sale at the silent auction. 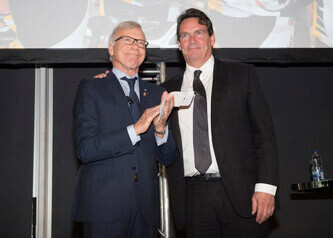 The live auction, meanwhile, was hosted by Fondation Charles-Bruneau spokespersons Paul Doucet and Pierre Bruneau. 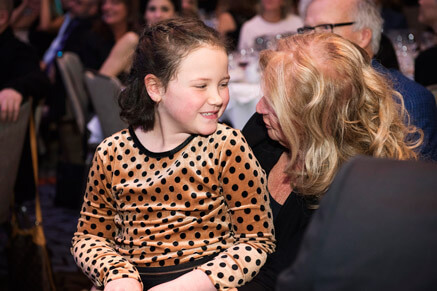 Also in attendance was the heroine of the event, 6-year-old Éloïse Desjardins, who is in remission after receiving treatment for acute lymphoblastic leukemia, and her entire family. She was joined by Loïc Rialland, also in remision from acute lymphoblastic leukemia, and his family. The members of the organizing committee extend a warm word of thanks to all the volunteers, donors, partners and participants in the 2016 edition. 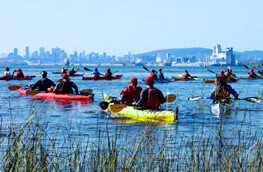 circumventing the Island of Montreal in a kayak. Unfortunately, the event was cancelled following a tragic accident on the second day. In the months that followed, the supervision and safety measures put in place were demonstrated to be sufficient, and the incident was deemed an unfortunate accident. The participants were the first to show their solidarity towards the organization and the cause by expressing a desire to see a fourth edition of the event presented. 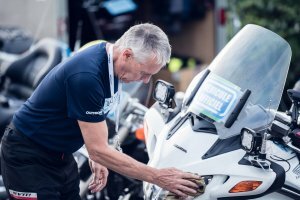 After considerable reflection and consultation with the main stakeholders, a decision was made to once again stage the event in 2017, with certain measures added to improve the overall offer to participants. And with support from a strong and determined organizing committee, the fourth edition was successfully launched. 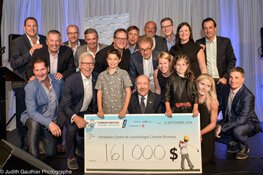 The third edition of the Circuit bleu Charles-Bruneau raised $162,000 for the cause of children with cancer. 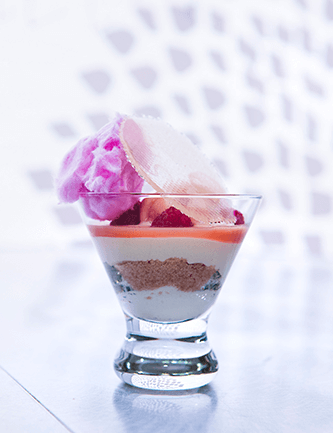 The Foundation raised $348,000 at the second edition of Charles-Bruneau Gastronomic Evening The Joy of Eating Better at the Hyatt Regency Montreal. Thanks to our 630 generous guests and over forty public figures united in support of thousands of children with cancer. 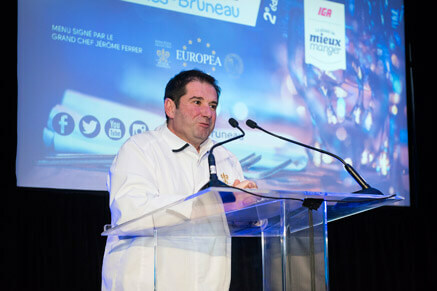 For the second consecutive year, the evening was held under the honorary presidency of Mr. Pierre St-Laurent, Senior Vice-President and CEO at Sobeys Québec. 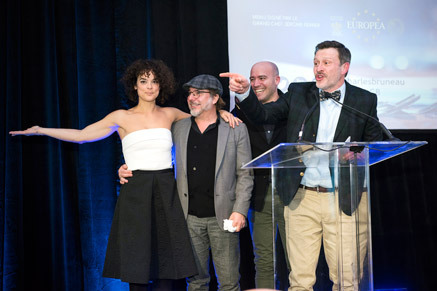 The Fondation Charles-Bruneau wishes to thank all its partners, donors, and friends that have contributed to the evening’s success. the record sum of $3,114,313. 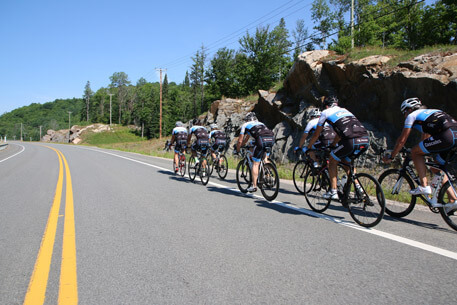 Each team is symbolically paired with one of the children sponsored by the 24h Tremblant. 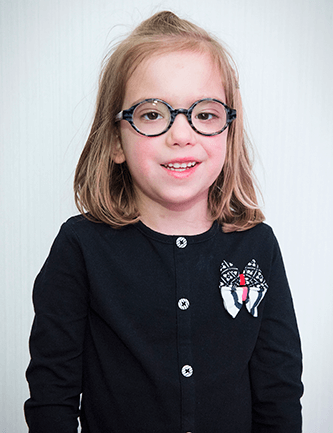 This year, the Fondation Charles-Bruneau was represented by five children: Alexis, Lilie, Émylou, Jacob and Félix. 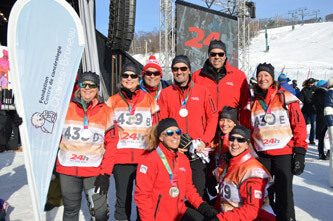 This year’s 24h Tremblant set a new record, as some 2,800 skiers, runners and walkers took part, for a grand total of 306 teams. 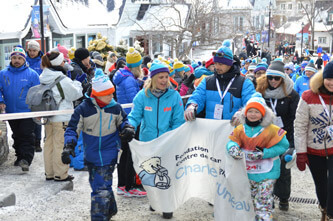 The Fondation Charles-Bruneau has been the main beneficiary of the 24h Tremblant since 2003. It’s extraordinary! Year after year, I’m blown away by the generosity and commitment shown by the participants,donors, collaborators and volunteers. Without them, the event would never be the success that it is. I’m impressed and deeply touched that so many people, inspired by these children, get involved with such energy. Each new record is an added victory for sick and underprivileged children. On their behalf, I have only more thing to add: 3,114,313 thanks! 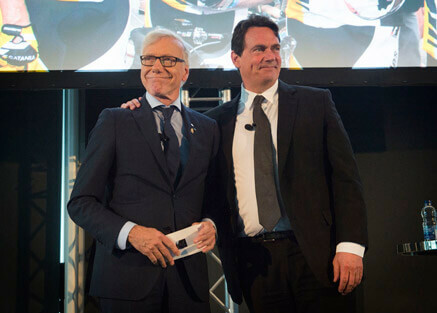 On Wednesday, May 17, 2017, Pierre Karl Péladeau, President and CEO of Québecor, announced a major commitment of $2.5M in the presence of hundreds of the company’s managers. 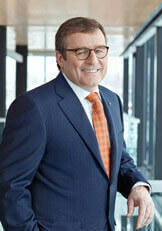 Québecor thus continues its long-standing partnership with the Fondation Charles-Bruneau. Link to the video of the engagement. 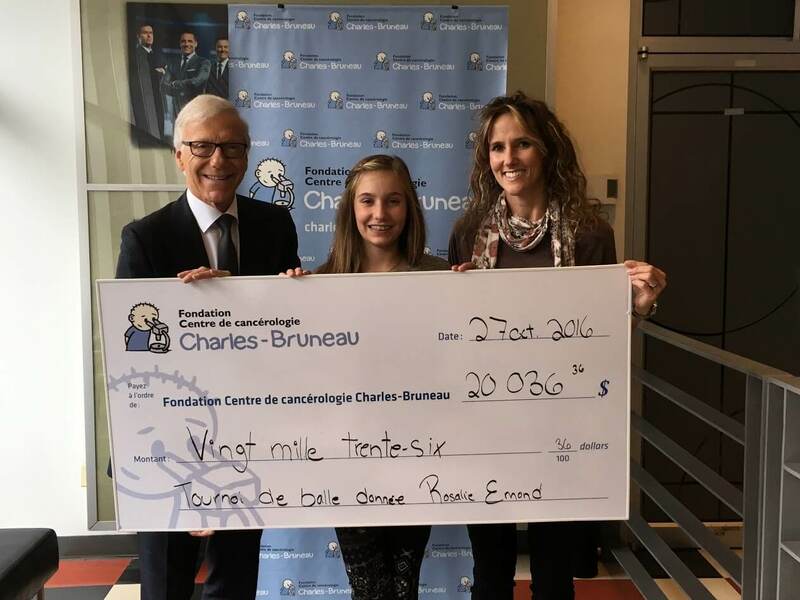 The Fondation Charles-Bruneau is always pleased to be able to count on individuals and organizations that generously agree to stage fundraising activities in support of its mission vis-à-vis children with cancer. In total, the community raised more than $504,079. 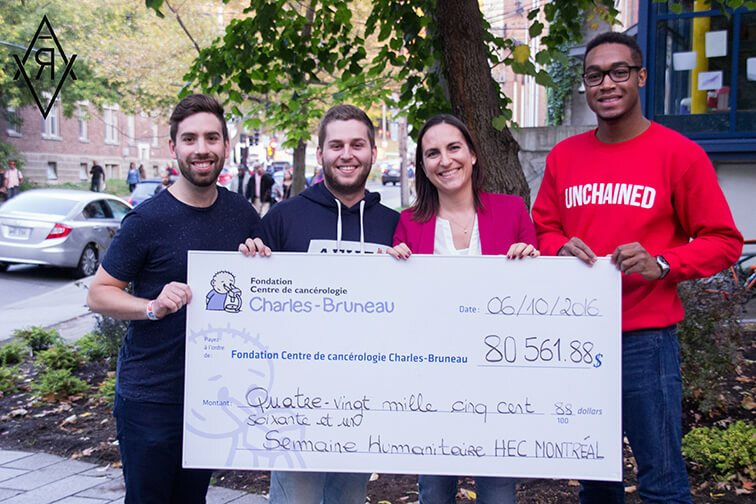 More than 1,000 HEC Montréal students remitted $80,561 to the Fondation as part of the Semaine humanitaire organized by the school’s student association. 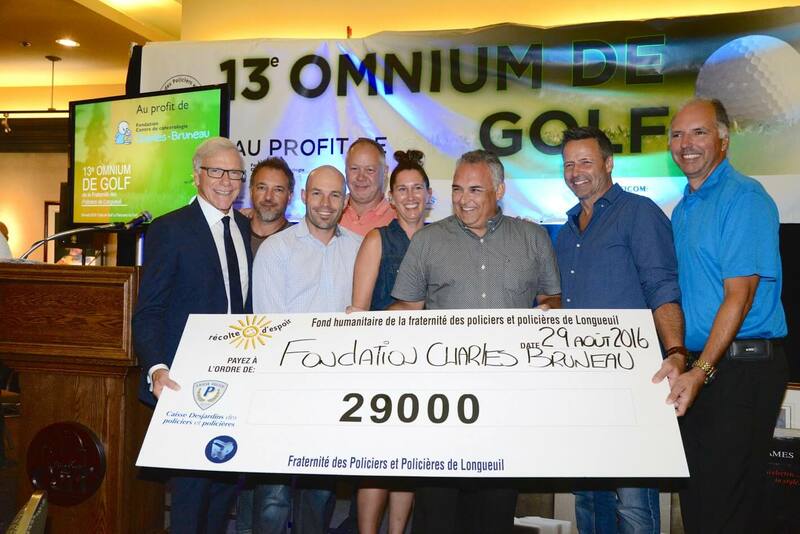 The 13th golf tournament held by the Longueuil police brotherhood’s humanitarian fund, chaired by Mr. Pierre Bruneau, culminated in the presentation of a cheque for $29,000 to the Fondation Charles-Bruneau. The Fondation is fortunate to have been selected as the beneficiary of this generous initiative. On August 26, 2016, Rosalie Émond and her family held the fourth edition of the Tournoi de balle donnée Rosalie Émond Fondation Charles-Bruneau (Fondation Charles-Bruneau Rosalie Émond lob ball tournament), presenting a cheque for $20,036 to the Fondation. All the residents of Ormstown gather for this tournament in support of young Rosalie, who has been in remission since July 2015. Jade Lambany, in remission following treatment for acute lymphoblastic leukemia. A young sports enthusiast was born! The 2016-2017 financial year again confirmed that the Fondation had an excellent year, posting a total net revenue of $5,549,647, an increase of 9% compared to the previous year, thanks to the continued success of our fundraising initiatives and events. recorded in 2016-2017. These two indicators demonstrate the Fondation’s sound financial management practices and show that it is able to follow through on its major investments in pediatric hematology and oncology research. We owe this success to our loyal donors and partners, who play a key part, year after year, in genegating hope for the thousands of children we support. 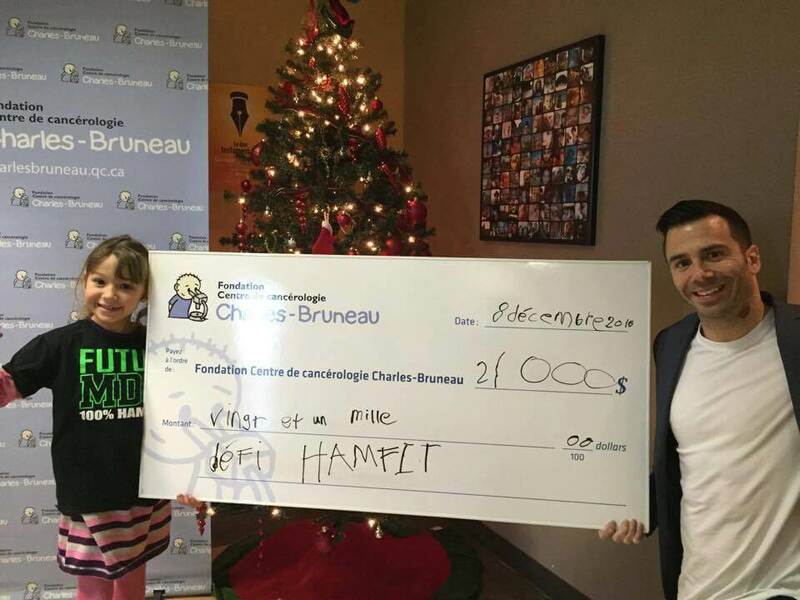 Thank you for placing your trust in the Fondation Charles-Bruneau. NOTE :The financial information presented in this annual report is an extract from the financial statements audited by KPMG. Curabitur dignissim mauris vitae dolor laoreet pellentesque. In mattis nisi sapien. Pellentesque habitant morbi tristique senectus et netus et malesuada fames ac turpis egestas.Curabitur dignissim mauris vitae dolor laoreet pellentesque. In mattis nisi sapien. Pellentesque habitant morbi tristique senectus et netus et malesuada fames ac turpis egestas.Curabitur dignissim mauris vitae dolor laoreet pellentesque. In mattis nisi sapien. Pellentesque habitant morbi tristique senectus et netus et malesuada fames ac turpis egestas .Curabitur dignissim mauris vitae dolor laoreet pellentesque. In mattis nisi sapien. Pellentesque habitant morbi tristique senectus et netus et malesuada fames ac turpis egestas.Curabitur dignissim mauris vitae dolor laoreet pellentesque. In mattis nisi sapien. Pellentesque habitant morbi tristique senectus et netus et malesuada fames ac turpis egestas.Curabitur dignissim mauris vitae dolor laoreet pellentesque. In mattis nisi sapien. Pellentesque habitant morbi tristique senectus et netus et malesuada fames ac turpis egestas. make that dream a reality: our volunteers help us chart a course towards that ultimate objective. advise our team in regards to the tools and actions required to ensure the success of these events. 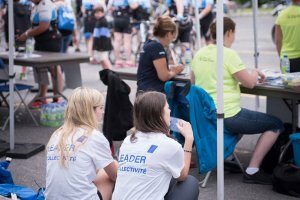 The success of our events hinges, invariably, on the commitment of our field volunteers. Our heartfelt thanks go out to all the Fondation’s volunteers!